100% cotton. 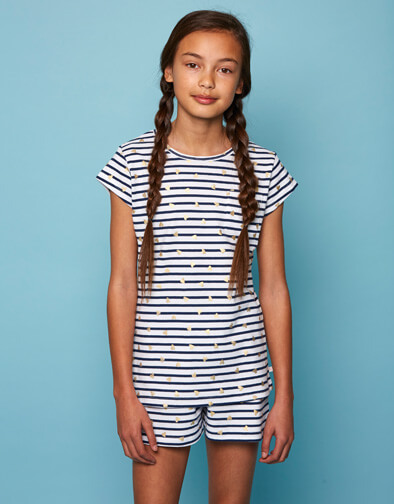 Navy & White Striped Top & shorts with Golden Loveheart print design. Pocket detail. Perfect for a good nights sleep and lounging around. A perfect gift for the teen girl.